Watch out, I break for cemeteries! Well, this past weekend my two youngest sons and I visited my daughter at Eastern Illinois University for family weekend. Of course we took in the football game where we certainly exercised our voices! The stands were packed with EIU students and their families and although the EIU Panthers lost the game, everyone seemed to have a great time. The boys and I had a great time visiting my daughter who appears to be adjusting to college life and being away from home. With the help of a friendly woman (who else can you ask for directions from?) I located Sacred Heart Cemetery, Fowler, Indiana, in the middle of a corn field! Once there the kids and I searched for and located my GGG grandparents graves! What a find! Theophile Deno born 1837 died 1924 and Odile Deno born 1842 died 1919. Both of their headstones were pretty well protected from the elements because they are located under a large tree. We found many more Deno graves too. Not only were there Deno graves but also Boudreau's and Senesac's--both names in my family tree. This cemetery is very nice and well kept. It appears that quite a number of relatives may still reside in this particular area of Indiana for we saw a few businesses in Fowler with the Deno name on them. Theophile and Odile's oldest son, my GG grandfather, Theophile Deno who was born in 1861 and died of consumption in June of 1881 before his twentieth birthday. My GG grandfather Theophile married Belle Boudreau in January of 1881. He died the end of June and their daughter Eva Belle Deno was born in December of 1881. Eva never knew her father. He was buried in St. Anthony's Cemetery (also known as Dehner's Cemetery) in Earl Park, Indiana. His tombstone also marks the grave of his sister Delia. Although less than ten miles from Sacred Heart Cemetery this particular cemetery took us forever to locate, driving down many a gravel road until finally we found it- once again in the middle of a corn field. It is quite a small cemetery and has some very old tombstones. We were lucky enough to find the tombstone of Theophile's sisters Delia and Leonie who also share a large tombstone as well. According to the Benton County Genealogical Society there are even more Deno's buried in this small cemetery, although we could not find them. I wish I would have had the time to photograph every tombstone and post it, but we were all getting very tired and wanted to get home! Perhaps a future visit will allow me the time to do so. The most interesting fact I verified was that my GGG grandparents lost too many children in such a short amount of time. They had eleven children and six died before they reached the age of 25 years. Three died in the same year; Delia died 1-30-1887, Leonie died 7-29-1887 and Maria Rosa died 8-19-1887. I believe most died of consumption. The other interesting fact was that my GGG grandparents spelled their name "Deno," not Deneau, or Denault as I sometimes have found it. I am not sure who changed the spelling but it was nice to see that at least four generations back it was spelled DENO. Hopefully it will also make it easier to continue my research on this most interesting family. Yesterday I found I actually had about four hours of FREE time and I didn't need to think twice about how to use those four hours! I packed up the notebook on my Sommer family and headed out to the Kankakee Public Library which is about forty miles from my home. I have read that this library has a pretty nice genealogy section with some city directories and church records. Was I lucky! I wanted to find out if my GG grandmother Katharine Sommer Ball lived in Kankakee between 1917 and 1923. I can find her in the Chicago City Directories before 1917 and after that I couldn't find her. Her death certificate indicates she died at the Kankakee State Hospital in 1923. My thinking was that she worked at the hospital because she was a nurse. It now seems that perhaps she was a patient. Her sister Julia Sommer paid for Katharine's funeral and burial in Oakwoods Cemetery in Chicago, IL. So, I went to work searching for Katharine in the city directories, and no luck. I searched church records again no luck but, as long as I was searching church records I thought I would look up some of my French Canadian relatives and BINGO! The library has two books of birth, death, marriage, and parish census records for St. Rose of Lima Catholic Church in Kankakee, IL. I knew that some of my Senesac and Boudreau ancestors are buried in St. Rose Cemetery so I thought I would search the church records. I found pages of the Boudreau's, Senesac's and Deneau's in these records from 1855 though 1916! The collection is actually a transcription of church records. My GGG grandfather and grandmother Luc and Aurelie (Landry) Boudreau are listed as godparents of numerous children. 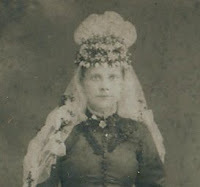 The church records verified that my GG grandmother Marie Balsamine (Belle) Boudreau was born in 1860. I have run across two different years of birth for Belle, so it's nice to have verification. The record even includes the names of her godparents; Cyprian Boudreau and Mary Landry. Imagine my surprise when I discovered that on October 12, 1872, Theophile Denaud (Deneau) and Odile Paulin (Palin) had a baby boy named Napoleon Henry Denaud (Deneau). Unfortunately, Napoleon died in June of 1873. Theophile and Odile are my GGG grandparents! Their son Theopolis married Belle Boudreau in January of 1881! I had believed that the Deneau's lived in Indiana and here they are in Illinois. Theophile and Aurelie are both buried in Sacred Heart Cemetery in Fowler, Indiana. There is even a record of Belle's second marriage in 1889 to Isaac Senesac at St. Rose's Church! 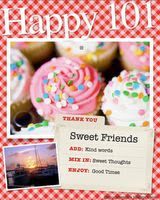 So, thanks to the Kankakee Valley Genealogical Society for publishing such terrific books! The best part is that the two volumes I searched through the most are available for purchase; St. Rose of Lima, Catholic Church, Births, Marriages, Deaths, and Census Records, Vol. 1 covers the years 1855-1885 and Vol. 2 covers the years 1886-1914. Both volumes were compiled by Norma Meier. I know what I want for Christmas! 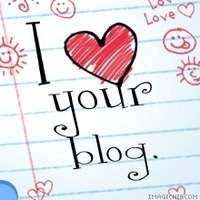 Much thanks must go out to Becky at Kinexxions for taking the time to read my blog and then nominate me for the I "Heart Your Blog" award! I started my blog all because I enrolled in a Library Web 2.0 class at my job in January, 2008. Creating a blog was a requirement of the class and because I am "addicted" to genealogy, that's what my blog is all about. 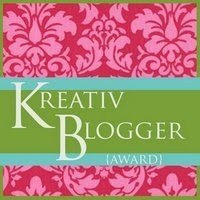 So, I am still relatively new to blogging and to be nominated for this award is truly an honor. I too have many Hoosier relatives, some lived in Claypool, Kosciusko County, Indiana, so thank you Becky! I was so happy to see that so many of the blogs that I follow have been nominated for this award. However, this forced me to go where I haven't been too often....visiting more genealogy blogs...some I have visited a number or times and some are new to me. In the very near future, I will be nominating seven more blogs (per the rules!) and will link them to my blog. What's on my nightstand? Why my ten favorite genealogy books of course! When I first started researching my family history, about ten years ago, I never imagined how much time and effort I would put into finding my ancestors. I imagined that I would simply mail a lot of letters and wait for my family members to supply me with my requested information. Unfortunately, I am still waiting for some of those letters. So, I went to my local library and picked out a few books on genealogy--just to give me a little guidance and direction to help "fill in some of those blanks" on my family tree. In no time at all I realized that those books were like bibles! There was so much information in between those pages. My library would only allow me to check out four books on genealogy at one time. Their collection was quite small and they had a limit of checking out four books on each subject per patron. To complicate matters, they only had a two week check out period. That was simply not enough time to copy and take down all those addresses and phone numbers of genealogical societies, historical societies, county clerks, etc. I needed those books, I wanted those books! I didn't want to give them back! Thus started my collection of books on genealogy. Here's what's on my nightstand! My number one favorite book! "The Handybook for Genealogists," 11th edition, edited by Holly Hansen. Published by Everton Publishers, it retails for $50, although you can find earlier editions on Amazon for much less. If you can't afford it right now- borrow it from your local library. Number two on my favorite's list is definitely "Finding Your Chicago Ancestors," by Grace DuMelle. This book is an absolute MUST if you have any ancestors from the Chicago area. I often refer to the sections "Points to Remember" in each chapter. You can find this book at Borders, it retails for $16.95. Number three is "Secrets of Tracing Your Ancestors," by W. Daniel Quillen. I often visit one of the local libraries that I live near and use their internet subscription to Ancestry. Therefore, I find the following two books extremely helpful; "The Official Guide to Ancestry.com" written by George G. Morgan and "The Official Guide to Rootsweb.com" written by Myra Vanderpool Gromley, CG and Tana Pedersen Lord. They have both helped me unscramble some of the problems I've encountered with my methods of searching for my ancestors. Most of my ancestors are Hoosiers! I have mentioned that a number of times. The book "Finding Indiana Ancestors; A Guide to Historical Research," edited by M. Teresa Baer and Geneil Breeze. This book has been a real help with identifying Indiana county records, church records, cemetery records and so much more. I am always asking for old family photographs from my cousins. "Family Photographs 1860-1945," written by Robert Pols has been helpful in identifying the different types of pictures, what to look for in a photograph, and their time lines. One of the first books I picked up early on in my quest for genealogical knowledge and refer to still is "Writing Family Histories and Memories," written by Kirk Polking. Thanks to this book, my family stories and histories are far better prepared and organized. My last two favorites include "Genealogy Online," 8th edition, written by Elizabeth Powell Crowe. This book guided me through the internet with blogs and podcasts and RSS feeds. Last but not least is "The Genealogist's Companion & Sourcebook," written by Emily Croom, this book was also one of my first buys and I still pick it up and scan through it. There you have it. Some of my favorites but certainly not all that I own. I am trying to get my hands on one of the few copies of "A Standard History of White County Indiana". My GG Grandparents Jacob and Eliza Hanaway lived in Monticello, White County, Indiana in the nineteenth century. Time will tell when I will get a copy of that book! As the saying goes; "So many books, so little time!"